A mammoth 6.1-inch smartphone could be in the works over in China, as details of the Huawei Ascend Mate get their first airing. According to a report from MyDrivers, the super sized device was apparently spotted on Huawei's Chinese website, sporting a huge 6.1-inch, 1080p display which would put the 5.5-inch Samsung Galaxy Note 2 to shame. As well as the screen size, other details of the monster phone were also leaked, including a 1.8GHz quad-core processor, 2GB of RAM and 4,000mAh battery. If these specs are to be believed then the Ascend Mate is set up to be the world's most powerful smartphone, an accolade currently held by its closest rival, the Galaxy Note 2. The Ascend Mate will apparently measure a relatively slender 9.9mm in depth, and while there's no official word from Huawei about the device, it wouldn't be a surprise to see other manufacturers take on Samsung's mega-super-phone. There are no details surrounding a potential Huawei Ascend Mate release date or price, so we've contacted the Chinese firm to see if it can shed any light on the news. 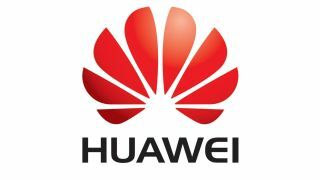 Update: TechRadar spoke to Huawei who said: "Huawei is unable to provide information about the Huawei Ascend Mate at this juncture. "We are looking forward to the official launch of the product, where details will be shared."